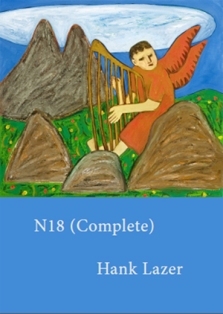 Let me be unambiguous: Hank Lazer’s new collection of hand-written poems, N18 (Complete) is a singularly dazzling work of purest art, both textually charming and intellectually rigorous. To read these lovely, swirling, torquing, intorsional, gyroscopically involuted poem/commentaries and lyrico-philosophical objects is to experience nothing less than “The New” of Ezra Pound’s historic directive. And it is an astonishing achievement indeed. As the book traces a period of composition from July 29 to December 24, 2010, during which time Lazer was reading Heidegger’s Being & Time, I shall transcribe, I hope, for the reader’s pleasure and convenience, my journal/notebook journey both through Lazer’s remarkable book and Being & Time in similar style but with a highly compressed reading schedule: March 6-April 19, 2012. April 17, 2010: I met Hank Lazer at the Alabama Book Festival. The official record will show, in fact, I was there to promote a book of my own, but the truth is I wanted to see and hear one of my personal poet-heroes read from his then newly-published Portions (Lavender Ink, 2009). Later, I was delighted to speak with Hank about his “new” project: notebooks and the conceptual framework of “serial heuristics”: the sustained process of engaging and adhering to a set of rules over time with the idea that both the architectonic-compositional constraints and temporality itself will reveal important textual insights. This, of course, is the minimum profile of the project, for the serially heuristic enterprise must, by definition, invite (let’s say: risk) the sémantique suspendu and the Heidegerrian Vergänglichkeit that haunt all committed poetical visions. March 6, 2012: N18 (Complete) arrives and is large in the hand, 82 pages of poems written under two normative criteria: 1) “each page would look differ than the previous page” and 2) that the NoteBooks, of which N18 (Complete), is the eighteenth in the series composed, over two and a half years, while reading Being & Time. I see in these pages a carnival mirror of shifting forms, the presenting evidence of Lazer’s mastery both of poetic economy and of the hieroglyphic élan of shapewriting. I am turning every page upside down, twirling it around in odd slants of light, mapping Möbius strips of incantatory marginalia, every page a vineyard of language redolent with the joy of discovery, the ritual magic of readerly physicality, and the luminous encumbrance of knowledge. Lazer’s voice is filled equally with brilliance and humility. March 17: Trying to follow Lazer’s comprehensive grasp of Heidegger is probably way above my pay-grade. But I am re-learning how much I love the Teutonic imagination. I have spent perhaps too much time in French theory. Also odd to my mind is Derrida’s immersion in Heideggerian thought (by way of Husserlian geometricity) while Foucault seems to have preferred merely hiding from Heidegger somehow in the interplay between Hegel and Descartes. C’est dommage! Or…ach ja(?) In any case: Oh, well. March 25: Lazer’s arch fabulisms occupy the same space as his spiritual modalities; and both are subsumed in an aesthetic sensibility of extraordinary integrity. Lazer does not write to fill a page. He writes to investigate the problem, to explore the contingency, to build new structures of understanding. These poems are indeed precisely those new structures: twisting, involuting, exploding in plumes of narratological celebration, and then just as quickly coiling into tight primers of meditative reflection. April 2: As the Heidegerrian text becomes more complex, the shapewriting responds, sometimes with concomitant complexity, other times with ironic minimalism. Lazer is conducting an experiment at the very edge of poetic discourse, and he is on the move: entries are composed in New York, Tuscaloosa, Honolulu, Seattle, and always deep in the danger zones of radical inquiry. Lazer is not merely shapewriting; he is shape-riffing, and shapeshifting. April 16: Heidegger’s wise admonition seems, strangely to have anticipated the two principal philosophical perils of Lazer’s project. Or, as we are playing with temporality, it might be more correct, if not more logical, to say: Lazer seems to have anticipated Heidegger’s own objections and supplied, a priori, his Lazerian ripostes! Lazer’s monastic attention to these very questions yields not only a decisive metaphysical reformulation of the Being/Time relation but, more significantly, a passage of crystalline poeïsis, written around the edges of the page, as perhaps a window or, more likely, some form of door traces its frame. In the following extended quotation, the / symbol indicates a right-angle turn in the text on the page so that as one reads, one is turning the page (or oneself) ninety degrees. 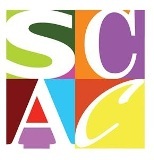 Carey Scott Wilkerson teaches at Columbus State University and is the author of two poetry collections, Threading Stone (2009) and Ars Minotaurica (Summer 2012), both from New Plains Press.